Almost sinful looking? Yes this is the pie that made everyone ask for second! It screams summer freshness. 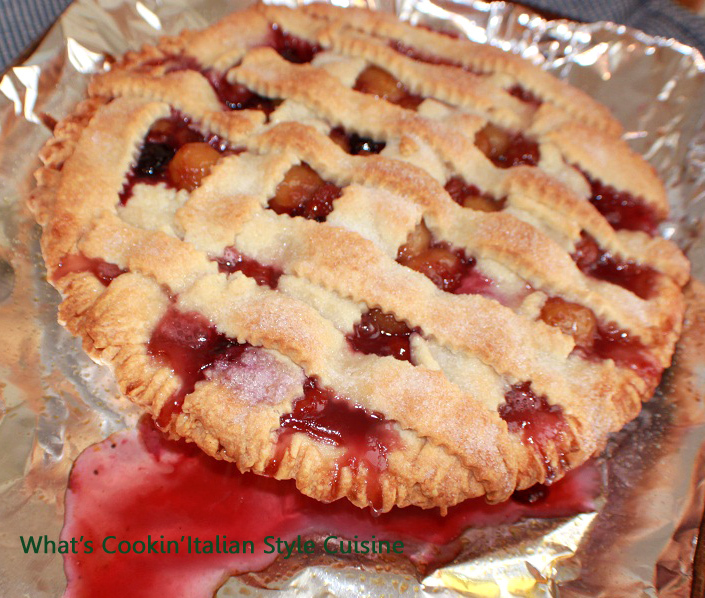 I added rainier, black cherries and blueberries to this gorgeous pie and look at the colors how pretty is this? The best part is the flavor combinations! 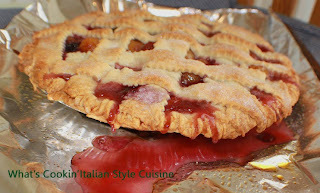 The crust was homemade but your can use store bought no problem! Roll out on floured board two 9 inch crust and line pie plate with one and lattice for the top. pinch of cinnamon or more to taste I use around 1/2 teaspoon because we love it! Add cherries to a medium pot, heat until some of the juice boils away around two minutes or so. Remove from heat. Add the cornstarch in the water, add the sugar into hot cherries and mix. Return to stove top until thickened stir often. If mixture is too thick add a little more water. Fold in the blueberries. Stir in pinch of cinnamon or more if you like. Pour into a prepared pie shell. Make a lattice top cutting strips out of the second pie crust. Brush with milk and sugar. Dot with butter. Bake at 400 degree oven until browned and bubbling around 55 minutes.